Fresh from winning gold and silver medals at the Rio Olympics, followed by a heroic demonstration of brotherly love at the Triathlon World Series in Mexico, Leeds-born triathletes Alistair and Jonny Brownlee joined us for a celebratory dinner last week at The Mansion in Roundhay Park. 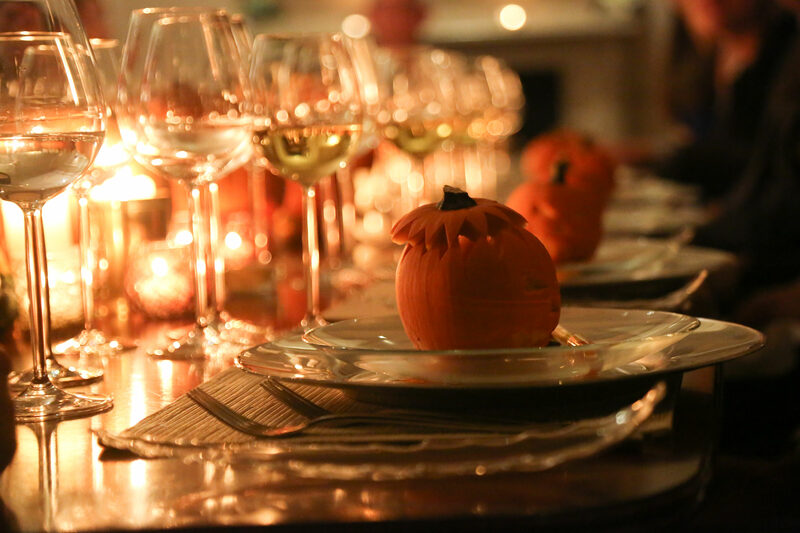 We put on a seasonal dinner fit for the Olympic winners – a creative Halloween themed menu which delivered soup in mini pumpkins, a scrumptious pork fillet main course with chorizo and bean casserole served in a cauldron and dessert served in a witches hat! Other guests drawn from the Leeds business community joined the duo for one of our most memorable evenings yet. Well! 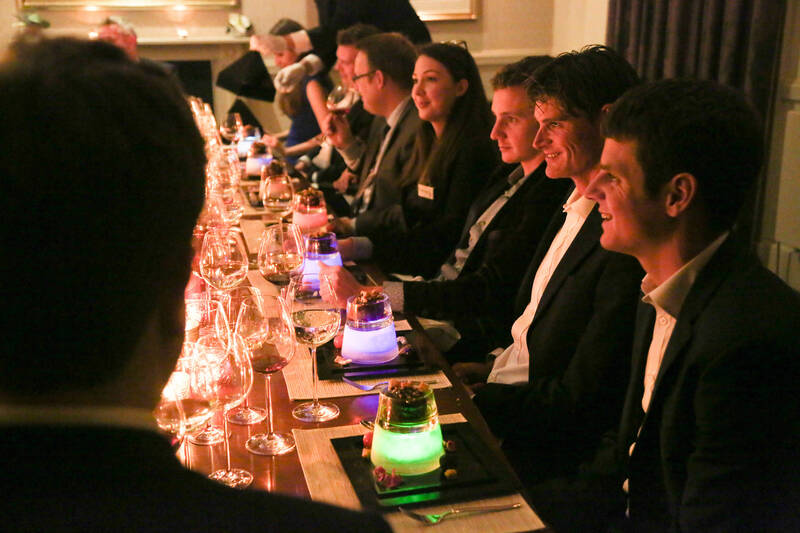 It isn’t every day one has the opportunity to Dine with Olympians… but last Thursday evening, we welcomed the Brownlee brothers to The Mansion to experience an Ambassadors’ dinner. Massive treat! We had a variety of characters sat around the table this month, from Mark Casci, Business Editor at the Yorkshire Post to Kayleigh Ramsey from Welcome to Yorkshire and Joy Hersey-Todd with lovely husband Richard from Unique Weddings, to name a few. 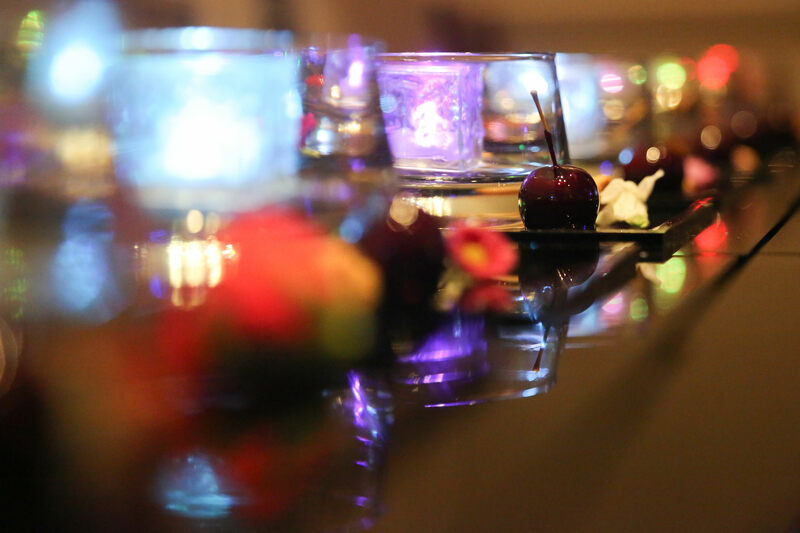 On arrival, welcome drinks and canapés were served in the usual fashion – kicking off the Halloween theme that ran through the evening with style. As tradition dictates, we had a picture on the stairs with staff & guests before being taken upstairs to the Fountain Room, where the beautifully dressed dining table awaited. The lighting was low and cosy; the carved pumpkin centrepieces were filled with dry ice and LED lights, to create some Halloween theatrics. Jo and her wonderful team at Twisted Willow created the fabulous table display. Hoults paired the wines with the menu – Bodegas Navajas Rioja Blanco Crianza 2013 was selected for the starter. Cream of Jerusalem Artichoke Soup, Orange & Cumin Oil (in a pipette), with Brunoise of Spiced Carrot was served in mini pumpkins. Warm breads and herb butter accompanied this deliciously Autumnal starter. 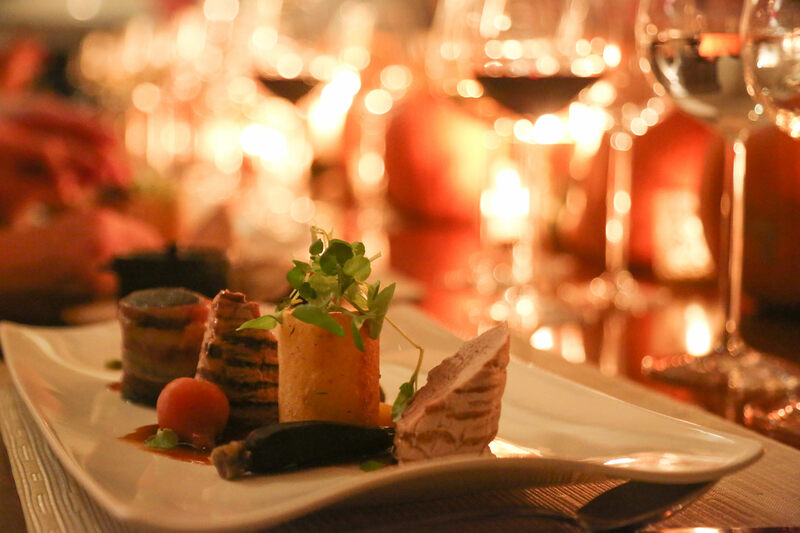 Bodegas Borsao Tres Picos Garnacha 2014 was paired with the main course – an award winning Spanish red. Home Smoked Pork Fillet, Boudin Noir Wrapped in Pancetta, Chorizo & Bean Casserole (served in mini cauldrons), Roasted Chestnuts, Sage Fondant Potato with Heritage Carrots (mixture of baby candy, red and golden). For pudding, we had Sticky Toffee Pudding, Orange & Ginger Caramel Sauce, Baby Toffee Apple with a flourish of Cinder Toffee. A Nuy Winery Muscadel was served with dessert – gorgeously warming and evoking feelings of being sat around a camp fire. For a bit of fun, we handed out some chocolate medals during coffee – a playful acknowledgement to Alistair and Jonathan’s phenomenal achievements over the last few months; these were hand-made by Thierry Dumouchel. Dan from 123 photography captured the evening beautifully.